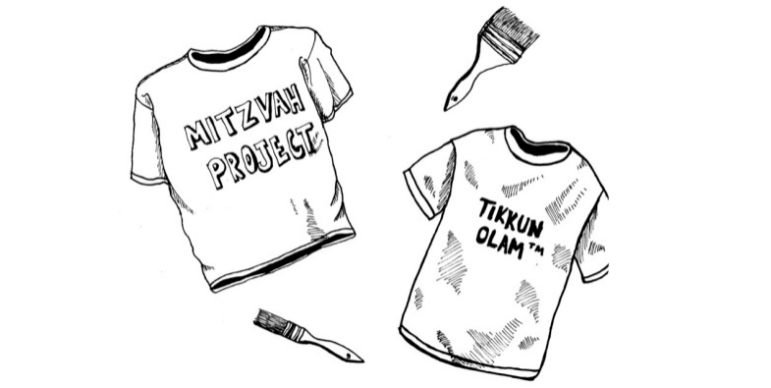 Tikkun Olam: Our Turn was born out of a desire to deepen the ‘mitzvah project” experience at b’nai mitzvah time—to provide better context and mentoring for our communities’ young adults as they stood on the threshold of adulthood in our communal institutions. But it’s transformative for older teens, as well. This program has a powerful impact on 12-18 year-olds in myriad ways — at camp, in day schools, or as part of a post-b’nai mitzvah or confirmation curriculum to help teenagers learn how Judaism can help them be of use to a world in need of healing.It helps them to identify the root causes of social issues, understand modalities of social change, reflect on the modalities and issues to which they feel most drawn, and develop an impactful project with a game plan for longevity. This curriculum is also intended as a cohort experience so that students can learn from each other and create a community that engages deeply in both the complexities of social justice and the work for a better world. Click here to view an excerpt from the Tikkun Olam: Our Turn curriculum. With your donation, you will also receive a PDF of From Starfish to Solidarity: The Quest for a Social Justice Mitzvah Project, a ‘zine compiled by Avodah Alumna Clara Rotter-Laitman. The ‘zine is the perfect accompaniment to the curriculum and includes stories, questions, and inspiration for you and your students. Please select your contribution level below to purchase the Tikkun Olam: Our Turn curriculum.